EAST TEXAS (KLTV/KTRE) - Good Afternoon, East Texas! Here’s the weather where you live: Mostly cloudy today with scattered rain chances and temperatures in the middle 70s. 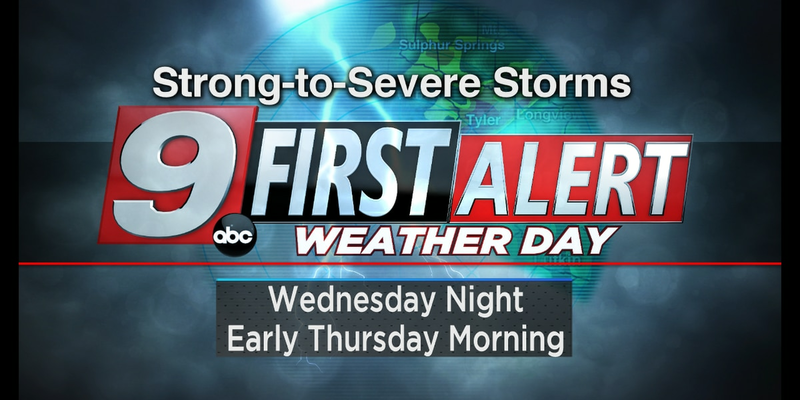 Today is a First Alert Weather Day. 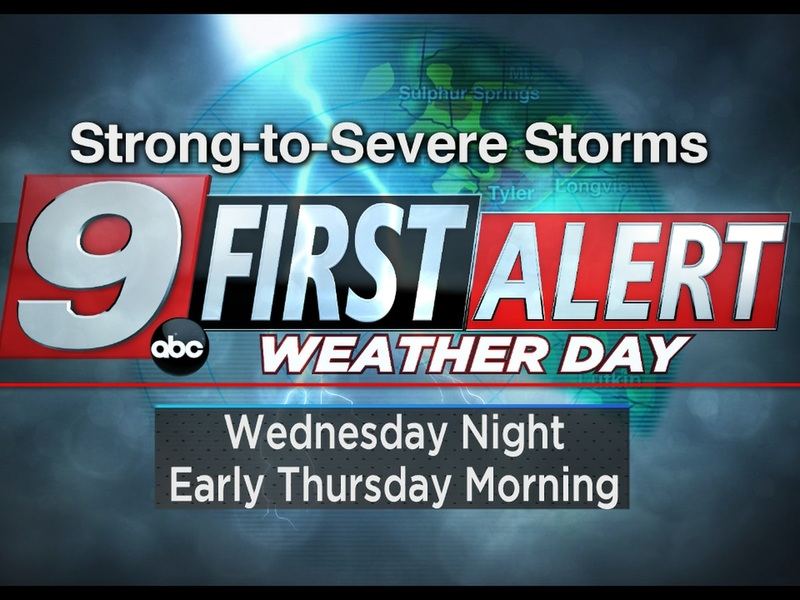 Storms chances come along as we head into the later evening and overnight. Once we pass midnight an organized line of storms will develop and move across East Texas. The biggest threats that this storm system posses are very gusty winds and the potential for golf ball sized or larger hail. There will also be brief periods of very heavy rainfall that could cause localized flash flooding. Once a cold front passes late in the morning on Thursday we will see clearing skies. Sunshine will return for Friday and Saturday with temperatures in the upper 70s to low 80s. For Easter Sunday we will be mostly sunny with temperatures in the low 80s. Rain chances and cloud cover return to start off the next work week.